I guess if you are really worried about the possibility of a rock chip then spend the money on wrapping it. Those that have it swear by it but after spending that kind of money for it what else would you expect them to say. It looks terrible after a few years, is not maintenance free, is not exempt from damage, and adds nothing in return for your so called protection investment. 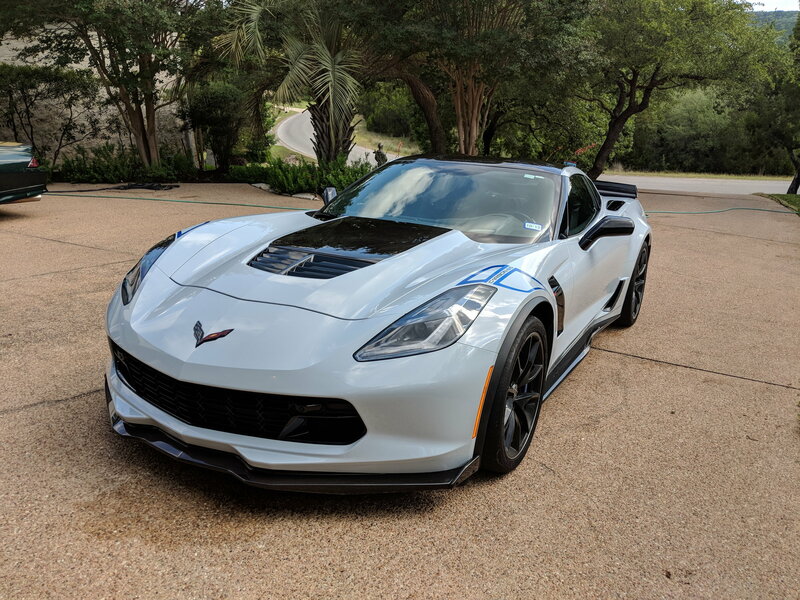 Take a look at used Vettes on any car lot do you see the front ends sandblasted, full of rock chips, of course not and they are not wrapped. Do as you please but in driving new Vettes since 2008 I have had exactly 2 small chips both easily repaired. No way would I waste my money on wrapping my Vette, for what? Good luck whatever you decide and most of all enjoy your Vette more than worrying about it. I can say with my personal experience I will not have another Corvette without it. My carbon road bicycle fell over and the end of the handle bar hit the side of my 488 and marked a 1/2" area. The paint was completely undamaged and only required a new front panel of Xpel! Washing my cars is so fast and easy. Last edited by Racerdj; 08-12-2018 at 10:14 AM. Short answer: put it where the chips will be otherwise, which is the rear brake vents. For mileage now I'm about 6K in and no chips to speak of. Depends where you live, how dry, is gravel used in the spring, etc. Doing the whole car seems a waste to me. And if that's a reduction to absurdity how absurd is it do the whole front or hood? Seems common, but I sure didn't need it. I will not have another Corvette without it. My carbon road bicycle fell over and the end of the handle bar hit the side of my 488 and marked a 1/2" area. While a bonus, I'm not going to wrap my car to protect me from myself... my brother tipped my creeper over once, so now I don't stand anything near a car! Last edited by davepl; 08-12-2018 at 11:00 AM. I paid approx. $500 for what I had done (see my above #17 post) if the installer knows what he is doing (example: removes badge than reinstalls, no cutting around the badge) you should not have any problems. This is how it looks, years later. Oh, and I wax the wrap too when I wax the car. 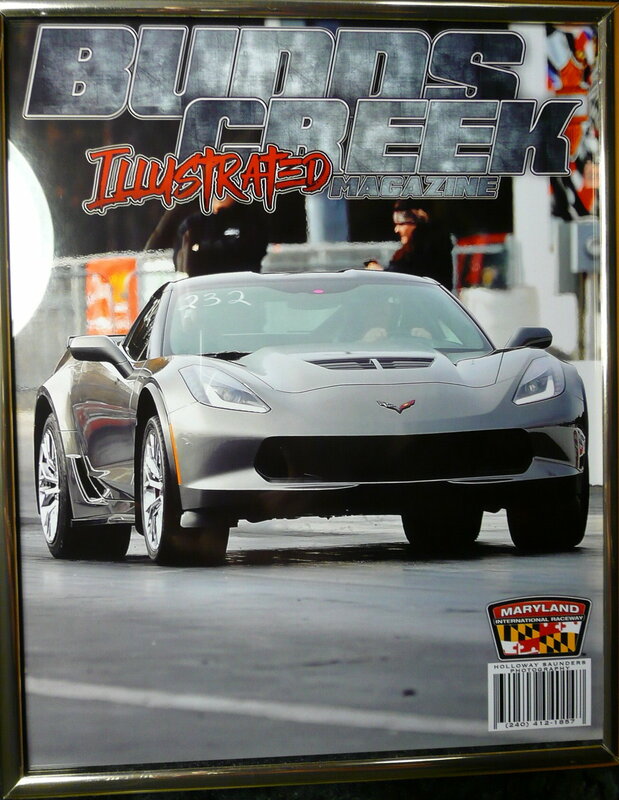 Front cover & head light pic of wrap. Last edited by C7/Z06 Man; 08-12-2018 at 01:06 PM. Had the entire front, hood, fenders done on one C7, and on the other I just did front and 24" up the hood and fenders. The 24" up was okay. Haven't done the doors. I did get a few hits on the doors when running shorter flaps at the track. The rear quarters all the way up are must do on the wide body. I also do the rear diffuser area so it doesn't look sand blasted. Since you have just a partial wrap I'm wondering how well it blends in with the rest of the car? Does it stand out or is it fairly obvious which parts have the film & which don't (assuming a shop does top notch quality work)? I haven't seen a car up close with the film, whether partially or fully wrapped, so that's why I'm wondering. I would think on a fully wrapped car it would be much less noticeable but perhaps I'm wrong. Same question as I just posed to C7/Z06 Man. How well does partial film blend in with the rest of the car? I'm leaning towards doing it but I'm just trying to figure out whether to do certain parts or the whole thing. My car is WGG. If you don't put on at least the rear quarter panel and rear brake vent area, and you drive your car, your rear fender flares and vent area will take a beating. I have one huge suggestion if it already hasn't been mentioned. If your going to do the hood, do the whole hood, fenders, the whole fender. Both of my cars were WGG. I can live with the lines, but it does look better if you do the whole hood and wrap the edges. My 14 had a lot of tiny nicks on the front bumper and windshield after a few thousand miles. A number of my friends have had the same experience. I am assuming it is the air flow of the C7 as my other Vettes did not have the problem. 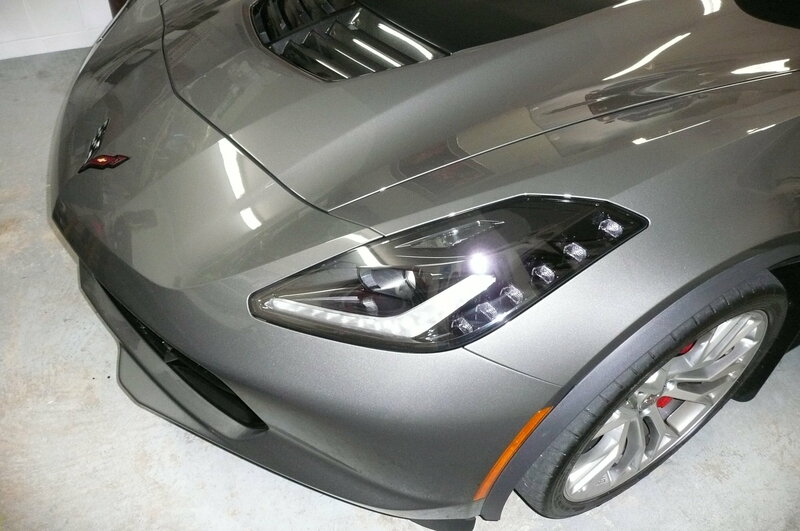 So, on my 17 Z06 I had film put on the front bumper and on the front of the rear quarter panels as soon as I took delivery. After 8,000 miles no nicks. My C6Z 's front was a stone magnet. After seeing all the replies I will definitely get the front,rockers and leeding face of the rear quarter covered. Did the whole car with XPEL Ultimate, also did their window tint. Works great and no issues. Had them redo one section that had a small bubble and it was covered with no issue under warranty. I use Zaino polish on the film and it shines to an amazing gloss. I would do it again. Wider mud guards and side skirts don't protect you from debris thrown from your own front tires. There are some home made mud guards that will protect but a lot of people don't like the way they look. If you decide to do a protective film the minimum that needs to be done is protect the rockers, lower door, the brake duct area and the rear quarters. Road debris damage doesn't show up right away. It comes from small pieces of sand pebble sized debris being thrown against the sides of the car over a period of time. Upon close inspection of a car that isn't protected you wouldn't notice anything for a while. However, over time the small chips in the clear accumulate enough to start making the paint look cloudy due to the way the light reflects off the chips. Then when you do a close inspection you see thousands of very small chips. That is when a repaint is required since there is no way to sand the blemishes out. On the street most cars don't really get that much damage on the front bumper/fascia or hood. There just aren't that many cars throwing up debris that will still be in the air when you get to where it was thrown up. However, your tires are constantly throwing it on the side of your car as it is only a few feet from the point where the tire lifts off the road as it is rotating. On my C5s I eventually saw the grooves of the tires shadowed in the paint on the rear quarters as the grooves don't throw any debris. For each groove there was a stripe of good paint between the milky spots. There are only three ways to avoid the damage: 1) Don't drive the car far or fast; 2) Use mud guards to block the debris path; 3) Paint protection film. By the way after a few years the PPF starts to show the wear and tear as well but at least it is easily replaceable. At minimum go front bumper, lower rocker/brake ducts and back of mirrors. Do the front splitter if you have a stage 2/3. In CA that is about $800. I'm probably going to do the complete hood and fenders. Makes it way easier to clean the bird stuff off of the car without paint damage. Had a truck drop a bucket off of its bed on the highway and it hit the front bumper of my car. It scraped up the film but not the paint. semi-self healed and you can't see any damage. That alone was worth $800. You cannot see the seams on my car and no color variation at all (WGGM) . Mine PPF has been on for 2 years now and no problems. My film installer has a 10 year film warranty. I did have a couple bubbles, one time, and he replaced it no questions asked. At least do the bumper and rock impact area. Last edited by SLEEKVET; 08-13-2018 at 10:58 AM. I have never seen a chance of recovering anywhere near the cost, upon resale, so have never bothered. No regrets. I could not justify 5K for expel on the whole car so i did not go with it. 6900 miles with the truck mud flaps and very few chips. Works for me. Look at the pic below, it speaks for itself. I have to point out to people which parts are covered, they don't even see/notice it till I tell them. What I have is enough to protect from chips. The side skirts and homemade longer/wider splash guards protect the sides of the car all the way back and the wrap protects the front pieces which can be hit from small stones, etc. being thrown back from traffic in front of you. Look that pic over again which was taken with a bright flash and you make the call if the wrap stands out at all (front cover or headlight). Oh, and less seams to notice with less wrap; and doing just half of something like a hood does not cut it for me, that seam will be seen. This is how I drive my waxer. Notice that front splash guard below, sticks out pass the tire just like the rest of the fender guard. Last edited by C7/Z06 Man; 08-12-2018 at 10:24 PM. Had to laugh when seeing some of the comments. Why would one dismiss a fine product just because of a lousy vendor/installer ? Would those folks also take the position, "never get any car painted - because I went to a lousy painter ?". Such a conclusion makes no sense. When I looked for a concours restorer/painter/etc.for my wornout but 100% complete and original '67 black/black 435 sidepipe documented roadster decades ago, as an example of one facet of the process, there were thousands of car painters, etc in the USA. Only ten or so did I even consider on the first pass evaluation, and even that number had to be whittled down. They had the necessary skills but not in totality, i.e. they couldn't hold a back and forth dialog with a customer. Once you determine that a product has the appropriate quality, and is deemed functionally worthwhile, then you need to find a party that can successfully sell and service that product. Doesn't appear to be rocket science. Prior to purchasing my 2016 Z06 Coupe I researched installers in the Northeast. After eliminating many I went to one 100 miles from where I live. Was it worth it ? Absolutely. I had paint correction, 75% coverage, along with ceramic coating for $2,800. Normally I would name them, but due to the commentators here with a chip on their shoulder, and who demonstrate no evidence of diplomacy, I shall refrain. Much to the loss of those with new cars who need a great installer. Last edited by tobaccokid; 08-13-2018 at 09:08 AM. have it , love it , could'nt live w out it ! i went 1 step further and ha the car ceramic coated after the fact ! as others have said still looks brand new , washing is a joke hell even a good rain storm cleans my gurl rt up !! to repaint a fr bumper and hood will cost ya a good 1k + so if the chips bother ya then PPF is 100% way togooo ! Note: if you drive like a Grandma and 72 is fast for you , or you don't hang w other fast cars that will be kicking rocks at you then i guess you can skip this but if you own and want your gurl to look new for as long as poss its a must imho !! Last edited by S.FLA..Z06; 08-13-2018 at 09:12 AM.